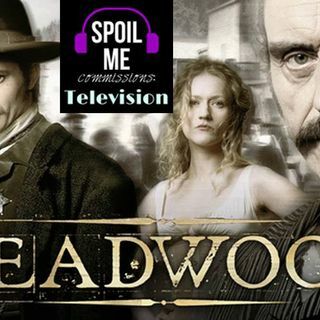 Thank you to Patrick for commissioning this episode of Deadwood, along with all the others! This episode we get a new player in town, and he's a real shady character. Alma's father arrives in town, allegedly to "assist" her, and it seems pretty clear to everyone that he does not have his daughter's best interests at heart. Alma herself seems to suspect it, although I think she puts a lot of it down to him not having respect for her because she's a woman. I think ... See More it's more than that. Also, there's a lot of focus on Jewel in this episode, who is simply a delightful character and I really love what they're doing with her. She goes to Doc Cochran to ask for his help with something that could make walking easier, and I'm very hopeful about that. Thank you all again for listening, and I will be seeing you again soon with a new episode!